Halloween. I had just finished 3 weeks of solid work. I had just had a hectic day. 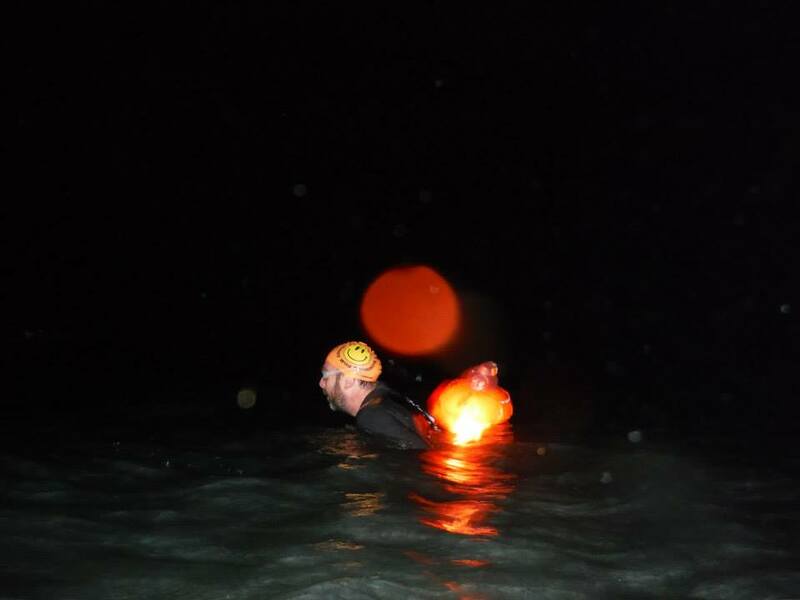 I drove through rush-hour traffic down the M5 to Goodrington Beach, Paignton to meet up with the other Happy Wild Swimming group for a Halloween night swim. I was late. I hadn’t even had time to get a costume. I got out of the car and straight into my wetsuit, barely able to talk with leftover stress from the day and drive, following the fancy-dressed group down the beach. It was just a quick swim. More of a wade for me. I had a quick go at crawl and it was very strange swimming in the dark but, not that different from usual outdoor swimming. Maybe it’s because I close my eyes when I’m underwater! Nice to have a drink with everyone afterwards. They’re a great group to swim and socialise with. I have completed an online class. I tried several times. I started on ‘Virology 1: How Viruses Work’ but I didn’t understand it. I started on ‘Introduction to Digital Sound Design’ but I fell behind as there was too much practical work to be done. I started on ‘The American South: Its Stories, Music and Art’ but the online lecturer had a deep southern drawl that made his lectures unbelievably boring. I finally plumped for a fairly generic course: ‘Learning How to Learn: Powerful mental tools to help you master tough subjects’ a four week course teaching things like how to overcome procrastination and the difference between focussed and diffuse thinking. The couple of professors presenting it were hilarious. Like bad TV presenters from 1980s instructional videos. While I was ‘studying’ my partner often looked over at my screen to see a badly drawn donkey on a shopping trolley to illustrate some metaphor they were talking about. Parts of the classes were interesting and the lecturers were actually very inspiring people who had lived varied professional lives. But I don’t think I really learned much. Maybe it was more relevant to people actually studying for examinations. Maybe I’ll pick something that I’m more interested in next time! Still, I got a 93.4% in my final grade. 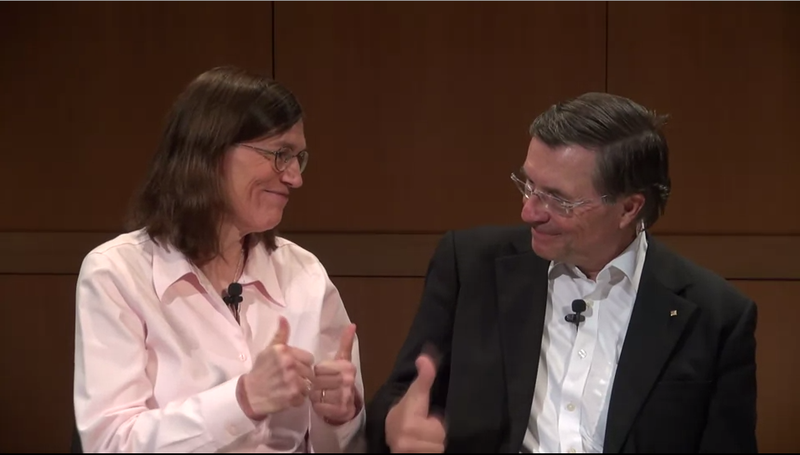 If you haven’t heard of it before, do look at the FREE online courses on Coursera. It was last year that I first mentioned my 40 challenges to my friend Karen. She suggested that she could give me a challenge. We had just been talking about how excrutiating I would find some of the hippy workshops that she goes to, shamanic journeys, reiki healings and the like. So that was of course what she thought would be a good challenge for me. My partner and I moved away from Karen so it made it difficult for us to attend any workshops. Instead she challenged me to do something she had been doing online: a 21 day gratitude challenge on Facebook. Every day I had to post three things that I was grateful for that day on The Gratitude Club Facebook group. I did it. It was tough. On some days I had just done the same that I do every day. Get up, make porridge, go upstairs to work, walk the dog at lunchtime, go back to work, make dinner, put my boy to bed, watch crap on telly, go to bed, repeat. But having to find things that I was grateful for kind of made some bits of the day sparkle. The walk with my dog was a memorable little jaunt with my best friend. Putting Elliott to bed was a fun little moment having a splash in the bath. Life is all about moments after all. I didn’t like posting my thanks on a public website though. It seemed smug sometimes. On a site that’s about presenting a public profile it didn’t seem balanced showing a purely positive perspective when sometimes you’d had a crap day. Life’s not all roses, nor is it meant to be. For that reason, I don’t think I would carry on doing this practice. It was certainly enlightening though. Skinnydipping on Exmoor. Done. It was beautiful (for me)! How much does it take to organise a beach clean-up? Bring along a couple of bin bags? 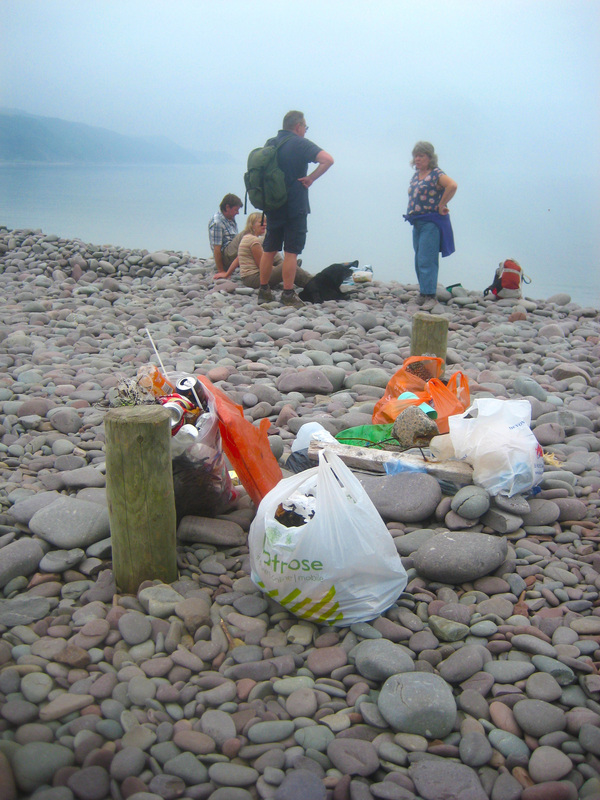 Whoever was meant to be organising the Marine Conservation Society’s Great British Beach Clean at Bossington Beach, just down the road from Minehead, couldn’t even do that. About 10 volunteers turned up – including me so that I could tick off my ‘volunteer’ challenge – but no organiser. We stood around for a minute or two and then decided to just start collecting rubbish ourselves. My dog Juju can’t walk very far now so she just sat down on the rocks and refused to go any further while I wombled up the beach picking up the odd bit of litter. I didn’t have a plastic bag so I had to use one of Juju’s poo bags to collect rubbish. Plastic bottles wouldn’t fit in it so I had to balance them in my arms. Considering the beach already looked pretty clean we collected a fair bit of rubbish. Someone nipped back and got a couple of bin bags and we managed to fill them. I don’t feel like I earned this challenge. Maybe I need to do something else. 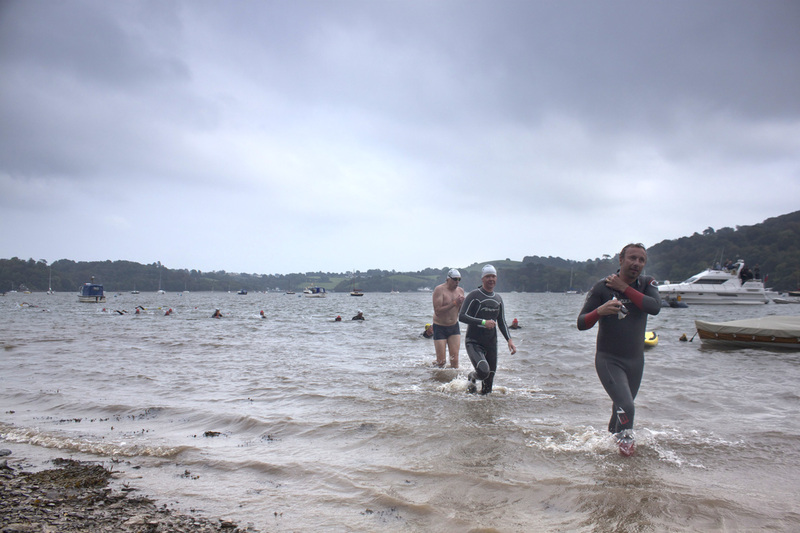 Yesterday I photographed the Dart 10k swim. I’m going to try and get an article in a magazine published about it. More news soon. Until then, here are the photos I took. UPDATE: I didn’t get a magazine article published. Boooo.